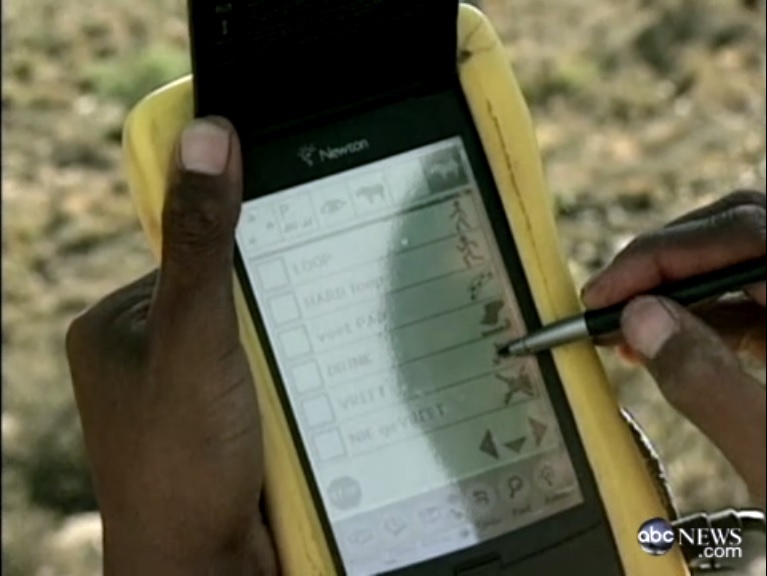 This video from ABC News: Tracking Animals With GPS from the year 2000 takes us back to the early days of CyberTracker. 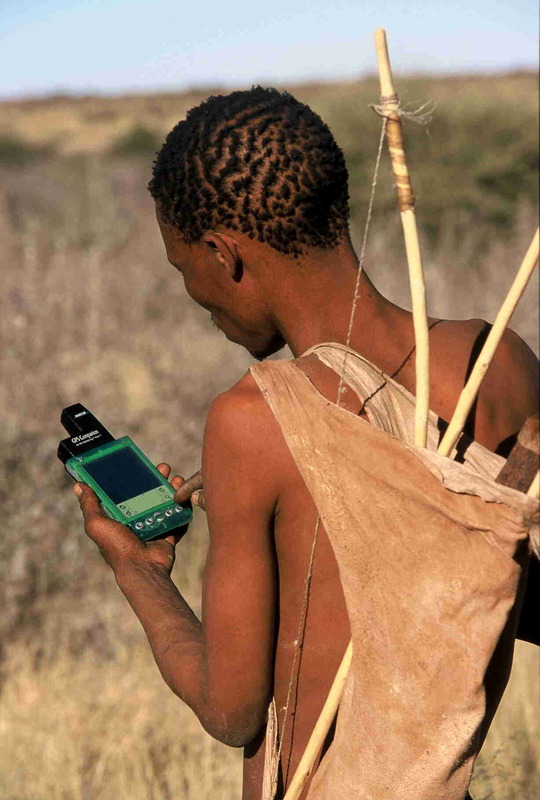 At that time, we had one CyberTracker running on an Apple Newton unit in the Karoo National Park in South Africa and just started our second project with the Kwe San Bushmen in Namibia, using the PalmPilot. This entry was posted in 2 CyberTracker Software, 4 The Art of Tracking, 6 Conservation and tagged Art of Tracking, biodiversity, Bushmen, conservation, CyberTracker on 2015/01/21 by Louis Liebenberg. Technology is allowing anyone to contribute to scientific research, with implications for conservation, disease prevention and much more. 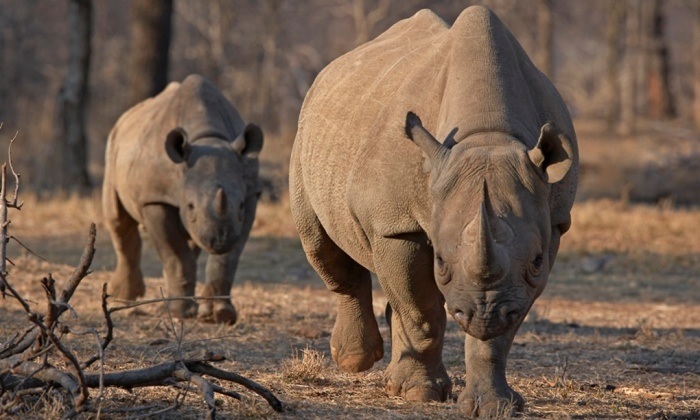 This entry was posted in 1 Tracking Science, 2 CyberTracker Software, 5 Citizen Science, 6 Conservation and tagged anti-poaching, Art of Tracking, citizen science, conservation, CyberTracker on 2015/01/08 by Louis Liebenberg. Celebrating 20 Years of Tracker Evaluations! To celebrate 20 years of CyberTracker Tracker Evaluations, initiated in 1994, we organised a CyberTracker meeting where evaluators were able to engage in critical discussion and peer review. Peer review is essential to maintain standards, especially as the network of CyberTracker evaluators continue to grow. Only by testing each other and engaging in critical discussion of evaluation principles, protocols and the interpretation of tracks & signs in the field is it possible to ensure that we all maintain the same standards. We also discussed the creation of The Tracker Association, which will be based in South Africa, but will be open to all trackers worldwide. In addition to qualified trackers, who will be full members, we will also welcome any tracker who is working towards becoming a qualified tracker. 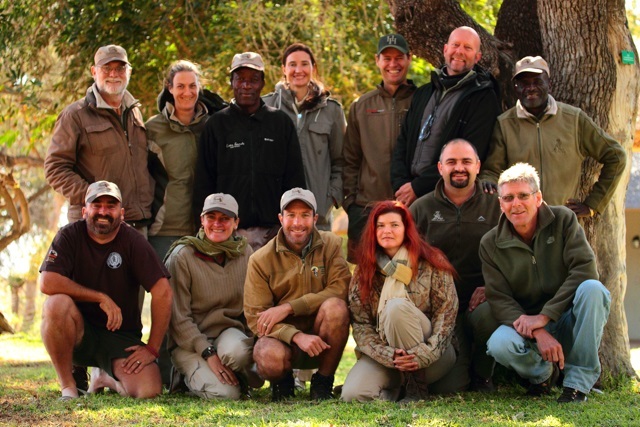 While CyberTracker Conservation is a Public Benefit Organisation whose mission includes maintaining tracker standards through tracker certificates, CyberTracker is not a membership-based organisation. We therefore need a membership-based Tracker Association which can represent and promote the interests of trackers. It was also great to simply have everyone together around a camp fire, relaxing and telling stories. Shani Preller suggested that the Tracker Association logo should be a camp fire, representing the tracker community. The art of tracking and the making of fire are perhaps the most ancient human traditions. We are planning to make this an annual event, something that will help to strengthen and grow CyberTracker evaluations into the future. The CyberTracker meeting was attended by Wilson Masia, Juan Pinto, Adriaan Louw, Lucas Mathonsi, Alan Yeowart, Lee Gutteridge, Mark Stavrakis, Taryn Ingram-Gillson, Shani Preller, Deirdre Opie, Kersey Lawrence, James Steyn and Louis Liebenberg. This entry was posted in 4 The Art of Tracking and tagged Art of Tracking, CyberTracker on 2014/09/12 by Louis Liebenberg.